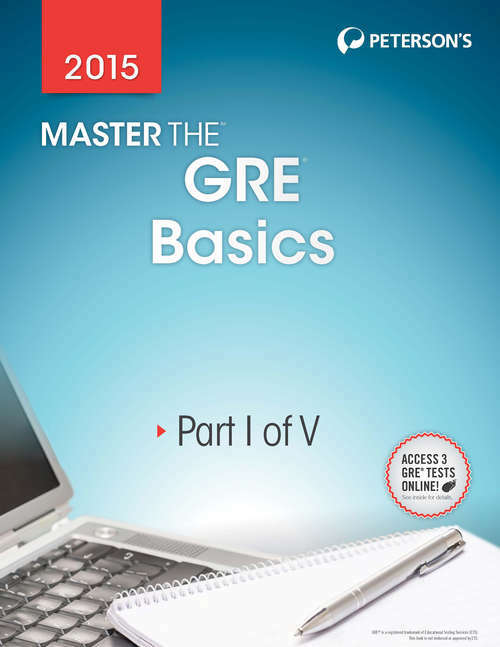 Peterson's Master the GRE® 2015: Basics offers a thorough introduction to the revised GRE. It discusses the test organization and time limits, explains how the test is administered, and addresses how the test is scored. You will find a detailed explanation of what to expect on test day and which procedures and regulations to follow. Also offered is general test-taking strategies to help you score high on the exam and a review of each section and question type you will encounter when taking the GRE. Special attention is given to international students, who will take the paper-and-pencil version of the GRE. This eBook is a breakout section containing selected content from Peterson's Master the GRE 2015. For further GRE test preparation, the complete eBook and other breakout sections are also available.